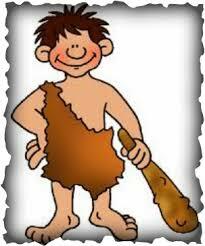 Is Your Marketing From The Stone Age? January 13, 2019 January 15, 2019 / Greg Roworth / Leave a Comment on Is Your Marketing From The Stone Age? I see the majority of businesses using outdated marketing methods that, while still achieving some results, are now so inefficient and labour intensive that the people using them struggle to survive with these methods. On the other hand, there are a number of savvy marketers that utilise modern, cutting edge methods that drive massive sales volumes with ease. Then there are many that use methods that are somewhere between those levels. I have been a student of marketing for about 25 years, both from a consumer perspective and a business owner perspective and have learnt a lot about it, without ever having gained a marketing degree. My observations may not be text book, but they are real world and provide real value when you understand the concepts they embed. The first is what I call Stone Age marketing, because it reminds me of stone age survival requirements where people had to go hunting for food every day to survive. Today, this equates to using methods like cold calling, networking and even reliance on referrals to make sales for day to day survival. These methods are heavily labour intensive and if you stop making the calls, attending network meetings, or the referrals dry up, then your sales stop flowing and your business won’t survive for long. Because of the desperation of the sales person, these methods often come with a pushy approach which creates defensiveness and resistance from the market. An example of this is the telemarketer pushing you to buy their company’s electricity supply services. There are much more effective ways to generate leads and sales. If you are using these methods, you should consider updating your approach. The second level I call Agricultural Age marketing. At this level, the focus of the marketer is on image building advertising, getting the company name out there so that customers buy from you when they have a need. It is like the spruikers at a farmers’ market who call out to passers-by trying to attract their attention. Often the products or services being sold are commodities or undifferentiated in a highly competitive market. The marketing is highly labour intensive and results are based on the frequency and reach of the advertising. Selling is typically one-to-one and transactional. Customers decide on the cheapest option. Currently, I see most small businesses falling into this category. Their websites reflect this approach, because of the tendency to focus on self-promotion and pushing products. The third level is Industrial Age marketing. This level is a step up from image building and is focused on brand building. Again, it requires a high level of investment in advertising to promote the benefits of the company’s products and services and to tell a story about the company to engender familiarity and trust from the market. Marketing is typically product focused and directed to the mass market. Attempts to differentiate products and companies are made through market segmentation and branding of products to appeal to specific customer personas. This level of marketing is sophisticated, mass media based, aiming to build buyer recognition and trust. The fourth level is the Information Age. Information age marketing utilises the power of computers, databases and automation, which enables marketing to be much more customer focused (rather than product focused like the previous two levels). Information Age marketing is based on the concept of permission marketing where people opt in to receive more information to learn about the product or service they are considering. Advertising or lead generation tactics at this level tend to utilise the direct response style of advertising rather than image or brand building advertising. The aim is not so much to get the company name out there, but to get the customer’s name in their database. Marketers can capture customer names at various stages of the buying journey. This enables them to nurture customers through the journey rather than focusing all their efforts on the ready-to-buy customer, which is the most competitive segment. Information Age marketing also provides the prospective customers with information to educate them through the buying journey to help them identify the product or service which is the best fit for them. This process also helps to build trust and authority. Information Age marketing is highly effective as well as being cost effective and measurable, unlike many image and brand building approaches. There is still one level of marketing that supersedes the Information Age and that is what I call Conceptual Age marketing. Conceptual Age marketing is highly values focused, based on the values of customer care and relationships. A customer is viewed as a client for life and the business is geared around supporting customer needs and providing value for the customer at all times, even before they become a customer. Differentiation is often difficult, so the winning strategy is customer love. Marketing is values and value based and highly personalised around specific customer tastes and requirements. Marketing tends to be personal and conversational, highly targeted and educational to build trust relationships. The use of technology can automate much of the customer interaction without losing the personal touch. Rather than seeing sales as transactional, each sale is part of building a long term relationship with a customer, from the initial purchase, through repeat purchases to the point of customer advocacy and beyond. Companies that use Conceptual Age marketing, like Apple, tend to attract tribes of raving fans. Whether you represent a large company, or a small company, or are a solopreneur, Conceptual Age marketing provides the most viable and effective option, if you want to have a consistent and predictable flow of sales or new long-term clients. Which age of marketing do you or your business use? If you are looking for a way to update your marketing methods and attract more premium clients, then you may like to read my free report, The Consultants’ Guide to Attracting More Premium Clients. Download it free from http://businessflightpath.com/guide.